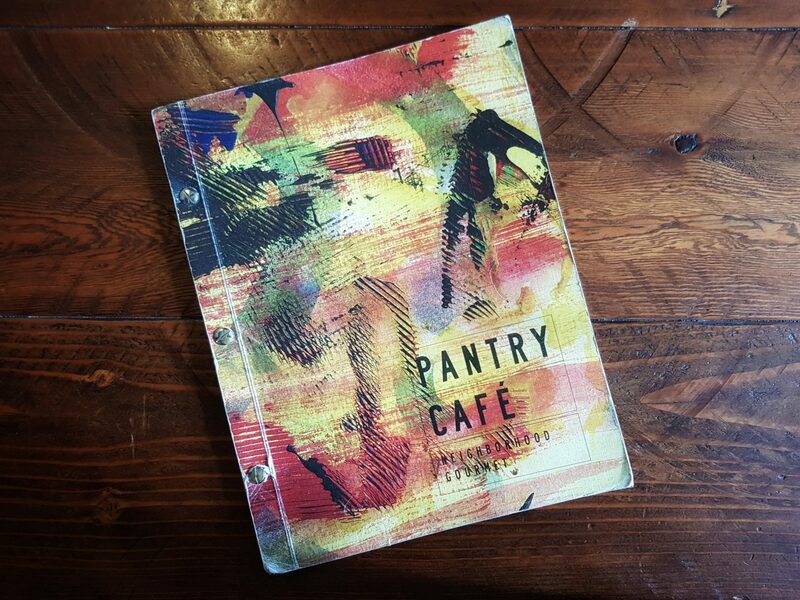 Pantry café has 2 branches in Dubai. One in Al Safa and one at the Bay Square. We decided to go to the one at the Bay Square. When you hear the word “Café”, you generally think of a place where you can have a quick bite and get the day going. But his place is huge with a nice welcoming ambience. It looked even more beautiful with a nicely decorated Christmas Tree and the entire place giving us happy holiday feels. 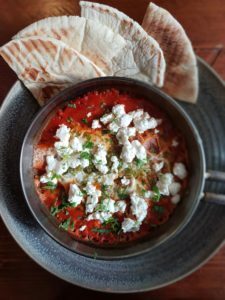 Our order consisted of Masala Omelette and Shakshouka. 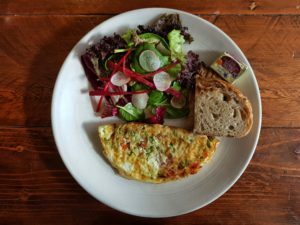 The Masala Omelette had a right blend of tomatoes, green chilies, onion, herbs and was served with a small slab of butter and fresh green salad. 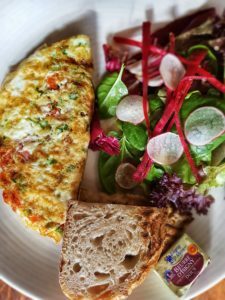 The concept of masala omelette originates from India and we were happy that it lived upto our taste even at Pantry Café. A happy breakfast always ends with a hot cup of Cappuccino for me. Apart from having an enjoyable feel to it, the place has a very unique pictorial coffee menu. It helps you in placing your coffee order by informing you the proportion of coffee, cream and milk your coffee will have. Found this really interesting. Very tempting, mouth watering description of menu with inviting colourful photographs of dishes. It seems to be ought to visit place. One of the reasons you read a food review,is when you are hungry, or when you are on your lunch. 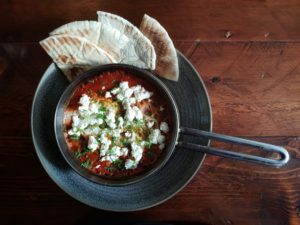 Came across this new colourful food blogger (review) & looking at the photos I thought I would give it a read. I scrolled down further to read. 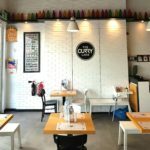 & With the tempting description & with mouth watering photos would surely give this place a try as it gives a feeling of a cozy,warm comfortable place to have a nice breakfast and spend some quality time with loved ones. Next time when I fly back to Dubai this would surely be on my to-do list. Looks amazing. I was surfing through net and I came across this page. 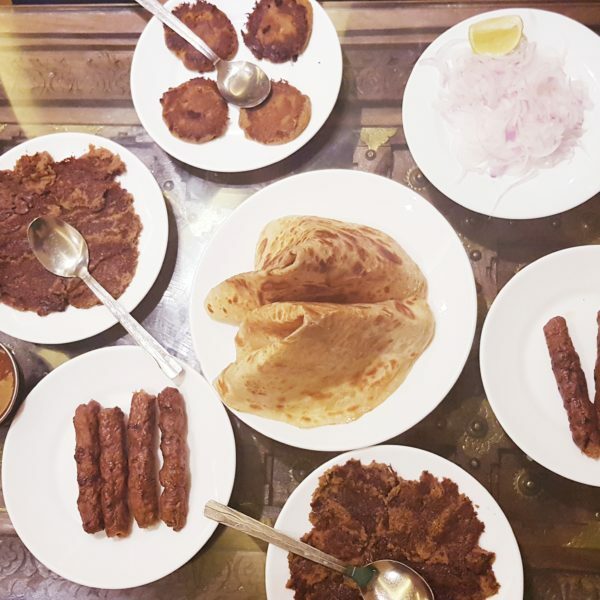 The pics are mouth watering and am sure the place would be upto the expectations. Surely will visit it soon.